When was the last time you changed your air filter? When it comes to home comfort, it’s often the little things that make a huge difference. 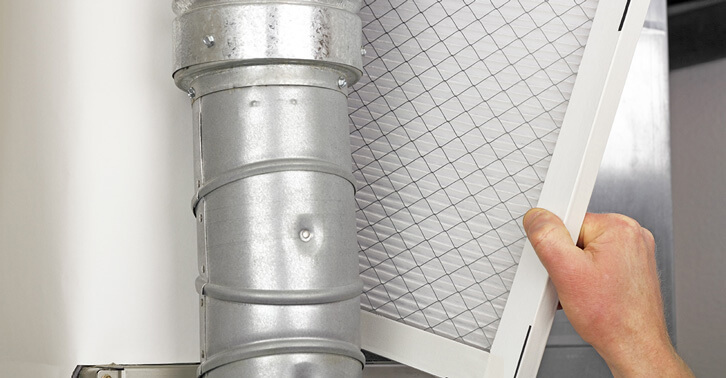 Change your air filter every month during heavy use months, and at least every 3 months during off-peak times. By changing your filter on a monthly basis (or as indicated on the packaging), you keep excessive dirt and debris from building up in your HVAC system and lungs. 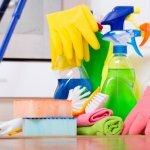 Excessive dust causes indoor air quality problems and can lead to expensive repairs and early system failure. Changing your air filter regularly also keeps your heating system working at full force, and a more efficient system means a lower utility bill. The air filter in your HVAC system is there to keep dust and debris from collecting inside the air handler and duct system. As the air filter gets clogged it will increasingly restrict the flow of air through the system. The fan motor is responsible for turning the blades and pushing air through your home. If the air filter is clogged it means that the fan motor has to work harder to pull air inside your home. This can increase the strain on the motor and cause it to break down. If your air filter is clogged it means that there is reduced air moving through the system. Less conditioned air coming through your vents results in discomfort and longer wait times. When your air conditioning system has to work harder to cool your home it uses more energy. If you’ve started to notice that your home’s energy bills are on the rise without a corresponding increase in usage, it could be the air filter. Neglecting professional maintenance can easily cut the lifespan of your cooling system in half. If you want your air conditioner system to last even longer than the manufacturer’s claims, it’s important to schedule annual professional air conditioning maintenance before each cooling season. Clogged air filters can lead to overheating, restricted airflow, and dirtying up the entire HVAC system. This translates to more frequent repairs, parts, and services. If you want to keep your HVAC system clean, reliable, and cost-effective, clean air filters are essential. Since Americans spend more than 90% of their time indoors, it’s important to have healthy indoor air. Regular filter replacements and annual professional HVAC maintenance are vital. 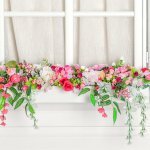 In addition to replacing air filters and keeping the entire system clean, your HVAC technician will also tell you about air purifiers, air cleaners, air filtration, duct cleaning, and other indoor air quality services. Learn if you have poor indoor air quality here. 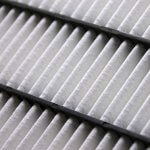 Dirty air filters slow down the flow of air, causing your HVAC system to work a lot harder and longer than it needs to. This wastes a lot of energy and will be reflected in your monthly utility bill. According to the U.S. Department of Energy, consistently clean air filters can save you around 5-15% on your energy bill. Every HVAC system has an air filter, but not all filtration systems are created equal. Air filters are rated on a MERV (minimum efficiency reporting value) scale from 1 to 16. Anything higher than 16 is probably a HEPA (high efficiency particle air) filter. We recommend purchasing air filters with a minimum MERV rating of 7. Speak with a Service Champions professional about improving your air filtration. You may need a professional modification to accommodate thicker, more effective filters. Learn more about air filtration, MERV ratings, and more. If you can any questions, don’t hesitate to contact Service Champions today for expert heating and cooling service in Northern California.